The hydraulic octopus can be installed directly on the last extension of the marine or land crane for loads, previously to an hydraulic installation for its operation. You can also install a rotator that allows you to turn on its own axis. 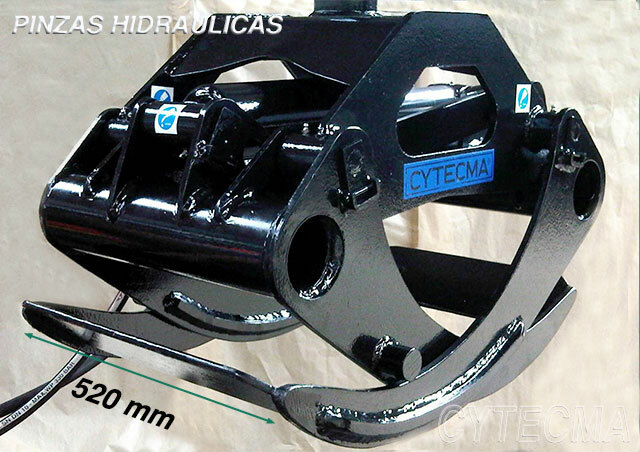 With capacities ranging from 0.8 m3 to 6 m3, and from 4 to 9 cog. We have a wide variety of octopuses according to the needs of the work and the dimension. 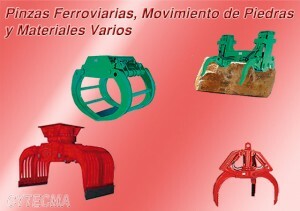 The Railway Clamps are used for rail of sleeper positioning. The Demolition Clamps are used for demolitions and movements of blocks, stones, marble and material of great volume and weight. We have great variety according to the crane’s tonnage and the customer’s need. 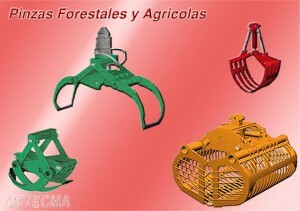 The Hydraulic Forestry Clamps or staples are widely used in forestry parks or in cranes on trucks or tractors for the transfer of logs after felling, making work faster and safer. 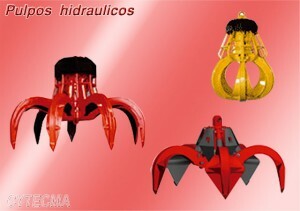 There are also hydraulic baskets, for the collection of organic waste.